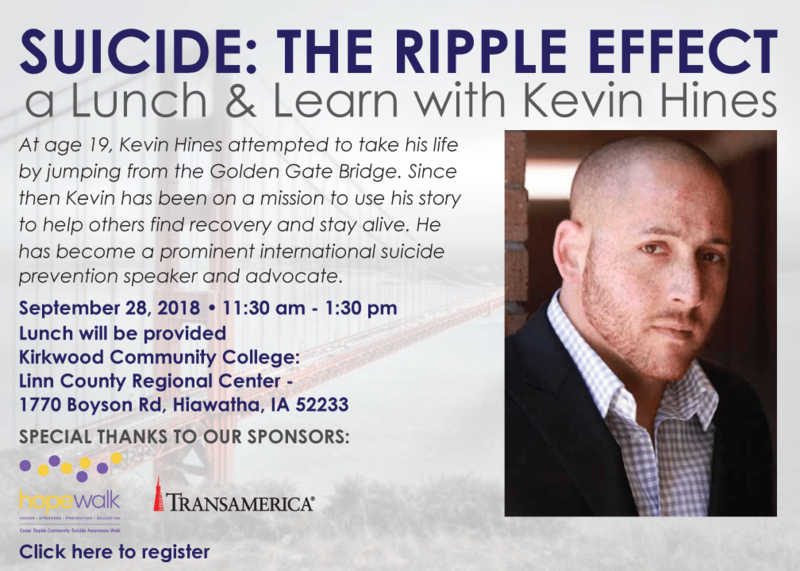 At age 19, Kevin Hines attempted to take his life by jumping from the Golden Gate Bridge. Since then Kevin has been on a mission to use his story to help others find recovery and stay alive. He has become a prominent international suicide prevention speaker and advocate.